The 1922 introduced LMC 0-4-0 Saddle Tank, this was the bread and butter model, analogous to the Tri-ang Nellie, and like the Tri-ang 0-4-0 came in a variety of liveries, ten pre-grouping liveries and, after 1925, the Big Four liveries and electric motors in place of clockwork; over the years the model underwent development and change, a better electric motor from the mid-1930's, and in the 1950's the provision of outside cylinders and, keeping the inside cylinders too, made this a super power 0-4-0 with four cylinders, these changes together with the provision of a smoke unit with a driven pump, saw the model into the 1960's when production finally came to an end. My model above came to me in a badly paint chipped state, the smoke unit failed to respond to electricity, and the rubber hoses from the smoke unit across the back of the cab interior were perished to dust, so I stripped and cleaned everything and upon reassembly built a slide-in interference fit coal bunker across the back of the cab interior, complete with real coal; the dead smoke unit is kept for posterity and could be refitted if desired, but I prefer the more realistic view across the cab interior, with crew, glazed spectacle plates to the cab front, and glazed brass frame porthole spectacles to the rear, in the open position - well it gets hot in that narrow cab. The electrics have been cleaned and overhauled, television suppression has been added to the 12 volt motor as a precaution. 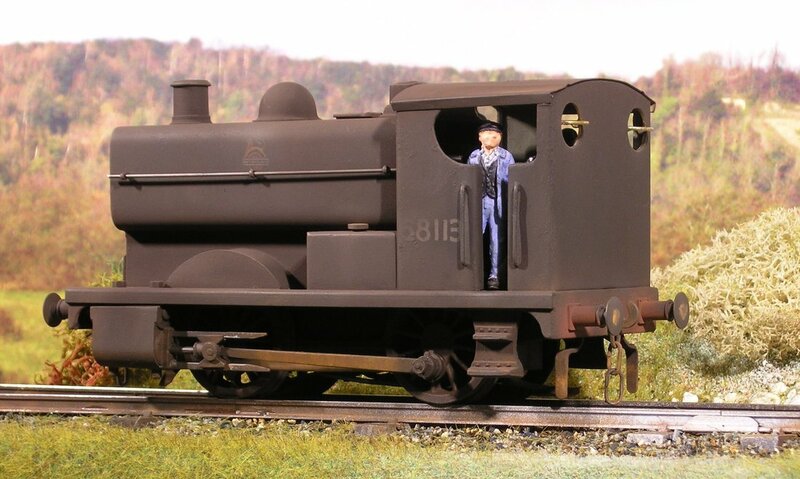 The chipped well-played with paintwork in BR Black with early emblem has been re-sprayed and weathered to make a proper little workhorse of her, the sort you might find in an industrial setting, or in a quarry, or on a branch line to a colliery. Not so much to scale, but like Nellie, full of wonderful character. In memory of Rex Stedman 1893 - 1959 a highly skilled, brave and courageous man: test pilot, engineer, model maker, entrepreneur.